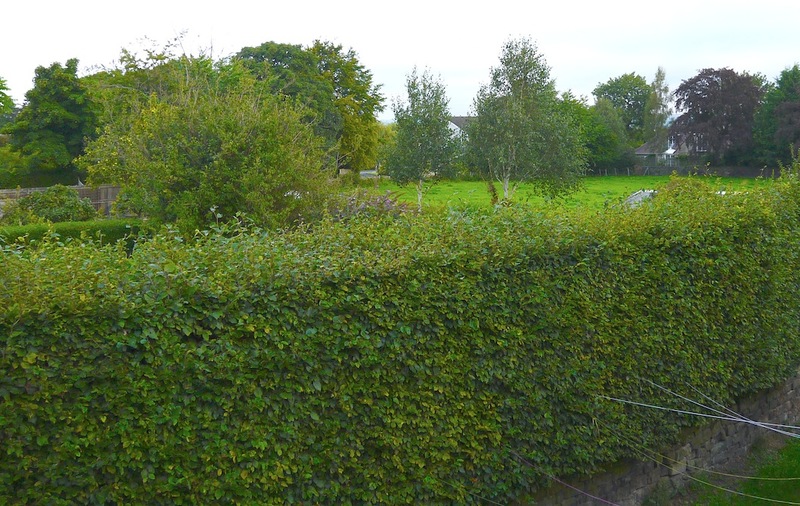 The proposal to build a house on a garden to the rear of 133 Main Street, Menston, was considered by the Planning Committee of Menston Parish Council at the meeting on 29 August. The garden is between the Main Street property and Porritt’s Field, which is protected from development. Residents on Main Street might therefore have presumed that their view to the other side of the Wharfe Valley, over Porritt’s Field, would be protected too. It is not; evidently interfering with someone’s view is not a reason to turn down a planning application. Some might find that strange, given that ‘removing’ a pleasant view and replacing it with a garage door, one situation for no 133 in the above building proposal, is likely to reduce the value of the property. Readers may know that a proposer of a development can pay for “pre-planning advice” from Bradford Council Planning Department. What they probably don’t know, is that doing this can result in a tacit ‘approval’ being given, as was the case here, as despite all the disclaimers, Menston Parish planning committee had received a communication from Bradford making it plain that they approved of the development. What is more, objectors to the proposal could not get access to this documentation. Before this became apparent it was clear that the Parish planning committee were of a mind to approve the application. The objectors were fortunate in having someone there who could take shorthand and was able to quote verbatim remarks of Councillors earlier, when turning down another proposal elsewhere, which could equally apply to the Main Street case. Menston village; view over Porritt’s field from a terrace at the rear of a home in Cleasby Road. Number 133 Main Street would not be the only property adversely affected by the proposal. A recently constructed (and approved) decking ‘terrace’ to the rear of a property in Cleasby Road, giving also a fine view across Poritt’s Field, would have this view obstructed by a large new dwelling. The Parish Planning Committee has now agreed to make a site visit to 133 Main Street and see the consequences of building the proposed house and garage, before a decision is made. ‘Porritt’s Field’ on Cleasby Road is marked by a plaque informing people that the field is ‘legally protected as it stands’. The field was left by Beatrice Porritt, a notable Menston benefactor and a wealthy spinster whose family was involved in the wool industry. The field cannot be built on or developed and keeps a green field within the village. Miss Porritt lived close by in Rosemount on Cleasby Road and died in 1997. Her ashes are under a tree in the field. Miss Porritt’s wishes were stated in her will and are legally and fully covered through the Court of Protection in London. As a result no one has the right to cross the field, form footpaths or use it in any way for recreation. Unfortunately you cannot purchase a view? If the planners are happy with the application there is nothing you can do. Just to clarify – the proposal is for building on land to the rear of 131 and the photos you have put on are from my house at 133 Main Street. I did not give my permission for them to be used and, although I do object to the proposed development, I have not had any involvement in writing this blog.